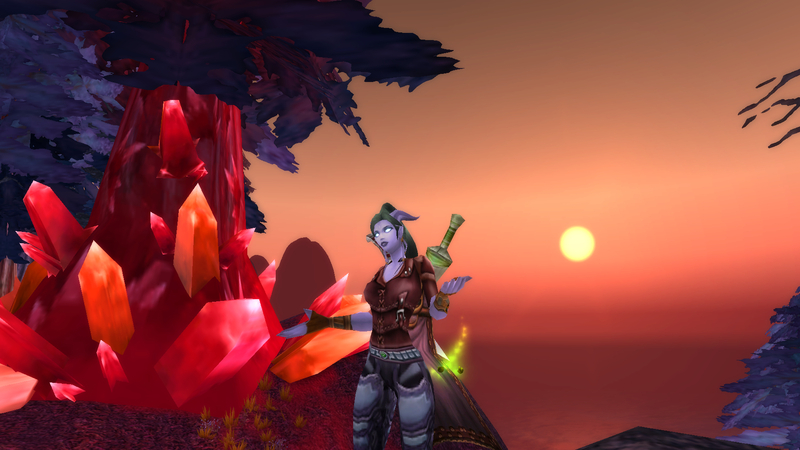 Community Blog Topic: Is Leveling Too Easy? | Neri Approves! 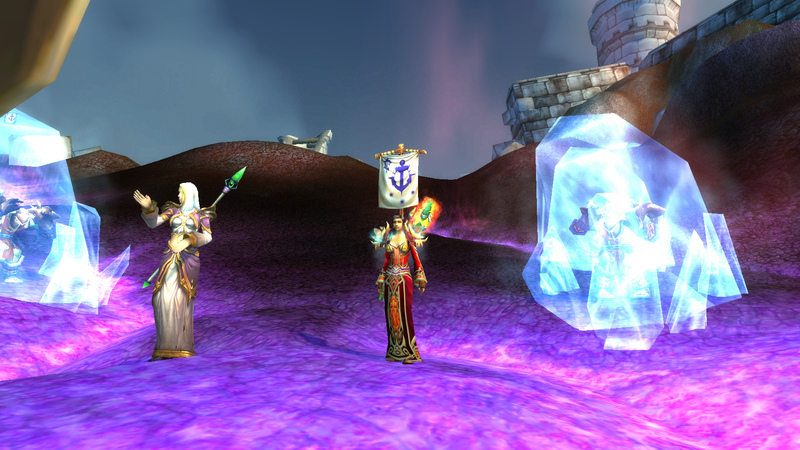 Community Blog Topic: Is Leveling Too Easy? My Alliance guild has a dream: a dream to unlock the Stay Classy achievement. Not a guild to do things the “normal” way, our GM started a little Pandaren hunter and went about leveling in the most peculiar way; a way that many of us veterans may not even consider in this day and age. He isn’t wearing any heirlooms. He hasn’t stepped foot into a dungeon. He will not leave a zone until all quests are complete. He has enjoyed leveling in this way so much that he has started another character. Oh. My. God. What is this madness? Cat, you’ve been hanging around with those pesky Pandaren too long and they have filled your mind with crazy notions like, “slowing down” and “taking it easy”. To that I say, “Bah!”. I mention this push by our tiny guild and the method our guild master has chosen to level as a response to the WoW Insider Community Blog Topic this week, where Robin asks us, “Is leveling too easy?”. The short answer, for me at least, is a resounding YES. It’s so easy that it’s mind-numbingly boring. I have been playing World of Warcraft for eight years now and I have lost count of how many alts I have started. Even with the zone revamps, there is still a lot of the same ol’, same ol’ and I do not enjoy it anymore. For me, it’s all about the end-game and those 90 levels in between are just a massive inconvenience. I am not an achievement hunter, I am definitely no completionist, and most of all, I am a time-strapped parent who wants my instant gratification now, dammit! So much so that when the Scroll of Resurrection was first released I totally reactivated my old account and paid the $25 so I could transfer my instant level 80 to my main account. Leveling is very much an inconvenience that does not provide the kind of challenge I am looking for, purely because it’s faceroll easy mode. The thing is, not everyone is me. Not everyone has been playing for so long that even the new content is old, and not everyone has the kind of attitude and play style that I have. There are people like my GM who enjoy going back to basics and just immersing themselves in the world. There are achievement junkies who have to FINISH ALL THE THINGS! There are even others out there who take the leveling challenge to a whole new level, like the Iron Man contest we saw spring up last year. The game does provide a challenging experience if you’re dedicated enough to find it. Just because the option is there to faceroll your way to 90 and people like me choose to take that path, it doesn’t mean that the game is too easy. It just means that players are more inclined to take the option that allows them to achieve their goals the fastest. Time is money, friend. The other factor that us seasoned veterans may forget is that while we may find World of Warcraft combat and questing a snooze fest, not everyone has been playing for as long as us. There are the younger players, the people new to computer games and indeed MMO’s in general who will naturally take longer to level as they learn how to play. Not to mention that there are 90 freakin’ levels for a newbie to get through. That must be a daunting prospect enough as it is for a new player, so imagine how off-putting it would be if suddenly Blizzard ramped up the difficulty and you were faced with a leveling experience similar to Vanilla? Gross. Regardless of or not you believe that the World of Warcraft node of new players has been exhausted, new customers are definitely something any smart business wants to attract. Since so much of the game revolves around end-game content, it makes sense that the process of reaching level cap is quick and painless. My Monk, in only guild vendor heirlooms, went from 15-17 by doing a single dungeon. What do you think? Is leveling in World of Warcraft too easy? Share your thoughts in the comments below. Tags: Community Blog Topic, Leveling, Scroll of Resurrection, Stay Classy Achievement. Bookmark the permalink. Thanks for the link to the Runetotem post, Neri, and thanks for mentioning us in your blog. My own opinion is that the hyper-accelerated leveling, via guild perks / heirlooms / a dozen or so short-term XP bumps (such as the Flaming Maypole bump from a week ago) make for a wildly uneven experience. You stumble, panting, across the finish line at 90, primary tradeskills levelled to – oh, let’s say 175? You’ve got only bits and pieces of rep from a dozen or so factions and the sense of a coherent story flew out the window around level 15 or so, when you started running back-to-back LFGs. Caterflam is the man! My Monk is trying to level at the rate of her professions althouth she is wearing heirlooms, not for xp but just to not worry about aquiring clothes. After she’s done I’ll do another to hit the zones she missed. I personally find that there is little incentive to do a “proper” play through each zone to level. Most of the <85 zones have generally self contained stories with little that connects them to each other overall. Part of this I feel stems from the fact it has had many expansions already which had different themes and stories to match it. And I feel that it is honestly not beneficial to really get to invested in the stories if they aren't going to contribute to something at the end. Which is what WoW is about these days, the endgame. The entire game is based around the endgame at max level. The proof for this can be seen from fact that your very class is deigned to be at certain level at endgame. They never balance for mid game or anything else under endgame unless it is really, really broken and even then it is hardly on their priority list. Hell even your stats, rotation and talents can become completely different compared with levelling. You ask most people what their goal is with a character they are levelling and it's often something like: Get to 90, get geared for raids/pvp and go from there. This itself is not a bad thing either in fact its good when you want to sustain the life of a game beyond the initial content. And I think it's smart of Blizzard to look for ways to support those that want to get to max level asap. It not only makes newer toons easier to level but also helps combat power-levelling services. Another thing that is becoming more popular these days is the idea of 'horizontal levelling' as you can experience in the The Secret World or in the upcoming FF14 ARR. The idea that you don't need to role an alt to switch roles comfortably is becoming popular as it allows you to continue accessing the latest content without being forced to level again from scratch if you simply want to try something out. Fantastic point about the story – hell, half of it doesn’t even make sense any more because of expansion interference. “So, I know we’ve had you really busy for the last 58 levels fixing the damage that Deathwing has caused, but uh, would you mind just ducking over to this other planet for a bit and sorting out their issues? Oh, and when you get back, we’re going to send you to Northrend to address their undead problem. All done? Great. Now, back to Deathwing…” lolwot? FF:ARR also does the backwards scaling thing that GW2 did. I think if WoW implemented something like that it could also perhaps address some of the story issues. It wouldn’t matter if you hung back in a zone to finish the questline because you would still be getting appropriate experience for your efforts. I quite agree with your GM’s method. I’ve levelled loads of characters. I made goodness knows how many before Cata, but only two 2 above 55. When Cata came out I started making loads of characters because of all of the new content. But I’ve done it all so much now that it’s boring. I gear every character in heirlooms and race to the finish line of max level. But I got bored with that. I started to realise that, these new 1-60 zones have had a lot of work put into them, and my heirlooms and dungeons were causing me to really miss out on that content. I started a new character a month or so ago, a Blood Elf Paladin, and I started working in a different way. I geared her in the guild heirlooms and didn’t bother collecting JP for the rest, and just sent her on her way. I level her through the zones I don’t have as much experience with, I’ve avoided a lot of dungeons unless I’m in a zone I truly can’t stand even now, and I’m actually playing the game now. I’m a fan of the lore – I’ve bought every WoW book (except the newest – a little too skint for that just yet) and I’ve really enjoyed them, and it’s so awesome to see some of the lore reflected in the game, which is something I missed a lot of in the past. Because of the change I made to my levelling, I’m seriously enjoying the game so much more. I even started to write a diary for that character which has made me enjoy it more. Don’t get me wrong, being 90 is great because there’s no more mad dash to the finish line and you can just take it easy 😛 but the process of levelling doesn’t have to be boring. Having said that, I’ll likely power level my next character xP going slow can only be done so many times! A lot of positive changes have happened to the game, but the one thing that always kept my interest when endgame was frustrating was going back to level characters. And it just seems now that sense of discovery and adventure is no longer there. Everything quest wise is on a track and it seems very linear to me, or you can skip it all by doing random dungeons where you just quietly run through it and the first sign of a wipe everyone just quits. Very impersonal from when I first started. You could argue and say its because I’ve leveled lots of characters, but I don’t believe so because my proof is how many characters I’ve leveled and enjoyed it. I don’t even read the storyline quests, its all about the wandering adventure, scenery and music. Now I just feel like i’m going from one Exclamation mark to another systematically killing my experience. The only place I still feel I enjoy is in Outland, you can’t do away with all the new changes, but at least they sort of left Outland alone. Guess its time for me to quit complaining and find a new game to checkout right. I agree with you. Leveling characters is fantastic for nostalgia and creating that sense of wonder that got me hooked all those years ago, but now it’s practically dead. You’re absolutely right when you say it’s just systematic killing and getting to the next exclamation mark…I feel exactly the same way. I actually just cancelled my WoW sub. I have enough time left to kill Garrosh on LFR, and then it’s full speed ahead in Final Fantasy. That game is just checking all the boxes that used to have me so enthralled with WoW. You say it’s your lack of time that makes you want to skip leveling… so you can get to F-ING ENDGAME? Which is BY DESIGN the most soul sucking, repetitive, grind oriented, gotta do my daily chores to keep up with progression, time sink Blizz’s finest minds can create? It’s always sad to see people whose minds have been utterly warped and all semblance of doing something because it’s intrinsically fun destroyed by Blizz’s favorite tool, the progression carrot. And their rationalizations are equally sad. “Oh, leveling is boring, I’ve done it so many times.” O RLLY? Which have you done more, Hogger, or any of your current dailies. Mara, or any of your current heroics? I recently resubbed after 4 years off and the state of this game is a disgrace. I quest naked with XP off (the only way to not grey out) at the min level for zones and am threatened maybe once an hour. Wearing gear (acquired by toon, no heirlooms) I can solo dungeons that are still in my LFD list. Oh, I guess the solution is to invest more time, embrace the treadmill, and gear up to heroic raids, and *that’s* when the gameplay becomes semi-interesting? No thanks, I’ve been on the treadmill before, and 4 years away gives you the perspective needed to see what a destructive, yet seductive force it is. BTW, when you look at every change Blizz has made to WoW since Vanilla, you’ll come to realize that their goal is to get people on the treadmill at all costs, even if that means not just neglecting, but actively destroying everything else, including the leveling experience, the social experience, the atmosphere of exploring and existing in an actual world as opposed to completing a sequence of mini-games, and even the intrinsic fun of actually playing the game. Because once you’re on the treadmill and “investing” in you toon rather than “playing” it, your much less likely /wowquit, and the reward response becomes more powerful than any intrinsic factors. I suppose it has been misleading when I said “end-game”. I am not a progression raider, haven’t been since the start of this expansion BECAUSE of those gawd-awful dailies. I don’t do things because I want my character to be dripping in epics; I was in a hard-core guild for a while there in an attempt to achieve those things and I couldn’t stand a single person in that cess-pool of a guild. These days, my reasoning for wanting to be at level cap is simple: the people that I DO like are all 90 and I want to participate in what they are doing. Sometimes that’s LFR, sometimes that’s PvP, sometimes we cruise around killing rares, other times we do dumb things like help our warlock test out if his tank spec is viable in heroics. While I agree that things like Group Finder tool have done terrible things to the community at large, there are still really awesome people who play this game. The people I have found so far? They’re at level cap. The longer I piss-fart around with the snooze fest that is leveling, the longer it is before I can join in with whatever character I have decided to try out this week. I’m hoping that the bitterness in your comment was not aimed at me, but rather a system that has let you down. I still stand by my original statement: leveling is too easy for people like you and me, but we are not the target audience. That there are challenges out there if you want to find them and if those challenges aren’t enough and non progression orientated end-game content such as Brawlers Guild, Challenge modes, etc isn’t doing it for you, then perhaps it’s time to find a new game that does. As far as leveling speed, sure, people who have friends at the cap and want to play with them certainly have a reason to want to get there, and by extension they don’t WANT to be doing leveling content. But I don’t see this as a reason to totally destroy everything below the current xpac, but as a reason to let people who don’t want to do old content start at the current xpac. New players or players who actually enjoy leveling have no reason to rush to the cap, and making leveling mindnumbingly boring only degrades the experience of content that has just as much intrinsic value and fun potential as anything “current”. I’ve already canceled my sub. If the game had actually been any fun to play, I would have stayed as I wanted it to get back into WoW. But I’ve been away four years and don’t have guildies who “need me” at the cap to help with progression, and if the two choices are either faceroll through quests, dailies, and LFx while enduring a toxic social atmosphere, or get to the cap and find a new guild to get back into progression raiding with (on a fresh 90), the choice for me was none of the above.